Edinburgh, Scotland is a city unlike any other in the United Kingdom. From its structurally vertical architectural build to the authentic shops and markets, there are plenty of things to do Edinburgh. One of the best ways to get a feel for a city is to wander around and explore on your first day. Edinburgh is no exception to this, and is one of the more interesting cities we explored. Edinburgh is built up instead of out, meaning that there are ground level streets with high streets directly on top of them. 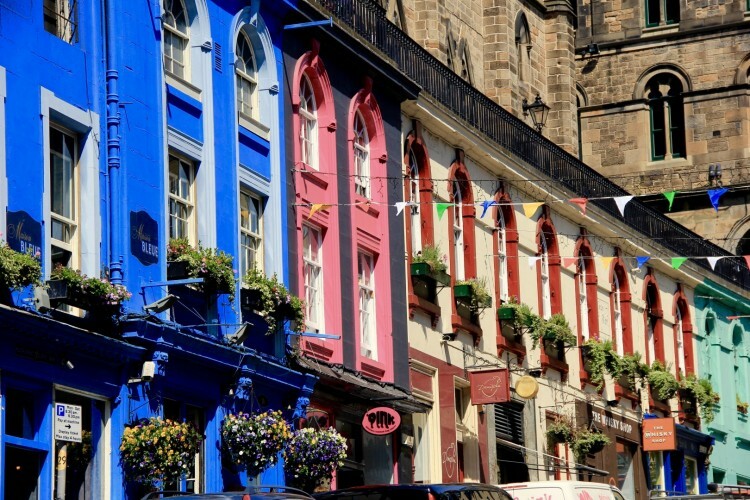 Take a walk through the Royal Mile and explore the local shops and restaurants. You won’t find a chain of anything, but will come across plenty of Scottish goods, souvenirs, and stairs! We visit parks in each city we go to, but Princes Street Gardens was one of our favorites. Not only is the park huge (over 29 acres), but it sits below the Edinburgh Castle and has incredibly scenic views. There’s a helpful map at the park entrance describing the significance of the monuments and floral displays in the park. 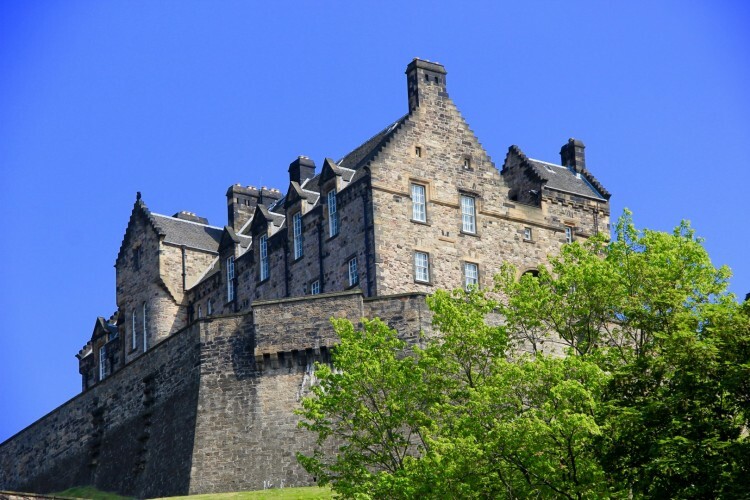 Edinburgh castle is the most visited paid tourist attraction in Scotland, and for good reason. The castle can been seen almost everywhere in Edinburgh, and has sat on Castle Rock since the 2nd century. Edinburgh castle has several rooms that visitors can explore along with some of the best city views. It is also home to the National War Memorial and the National War Museum of Scotland. For all who love ice cream, Mary’s Milk Bar is the place do go. Not only do they have rich, creamy ice cream, but they also serve a variety of hot cocoa drinks and coffee’s. Their speciality is the ice cream hot chocolate, where a cup of hot cocoa is made and then topped off with a heaping scoop of ice cream. Perhaps one of the most scenic places we’ve been to in our European travels, Glencoe is absolutely worth a day trip. Tours run every week and can be booked from local hostels in the Edinburgh city center. Those comfortable enough to drive on left side of the road can rent a car for around €30 per day. Glencoe is a great place to hike with a variety of trails that range from leisurely walks to strenuous climbs. 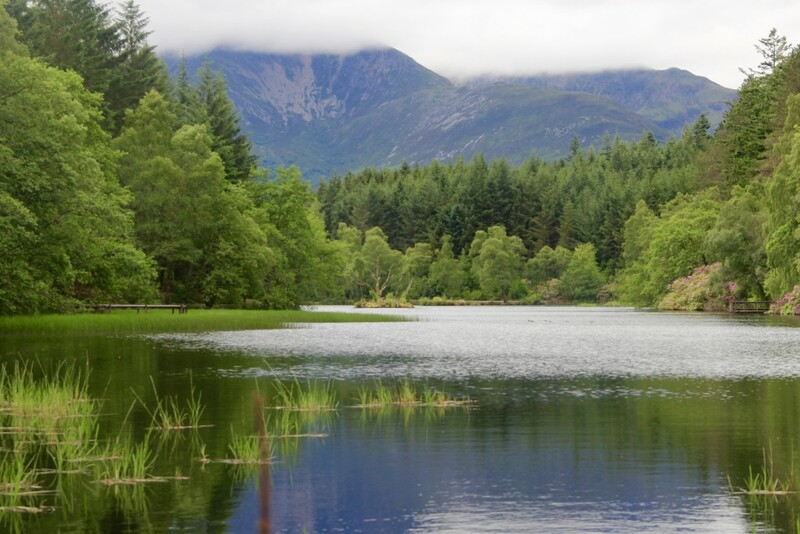 Check out the Walk Highlands website for an in depth guide to various trails in Glencoe. Anyone who’s read Harry Potter or watched the movies should have the Elephant Cafe on their Scotland bucket list. This is one of the more touristy things to do in Edinburgh, but is also the cafe where J.K. Rowling penned her first Harry Potter novel. Fans from all over the world flock here to write a message on the bathroom walls and the coffee shop has clippings of Rowling’s success as decor. The highland cow, or Heilan coo is a Scottish cattle breed with long hair coats and long horns. Their long hair keeps them warm during the Scotland winters which are especially chilly in the highlands. They are raised primarily for meat, which is regarded as the highest quality and has increased the distribution of highland cows internationally. 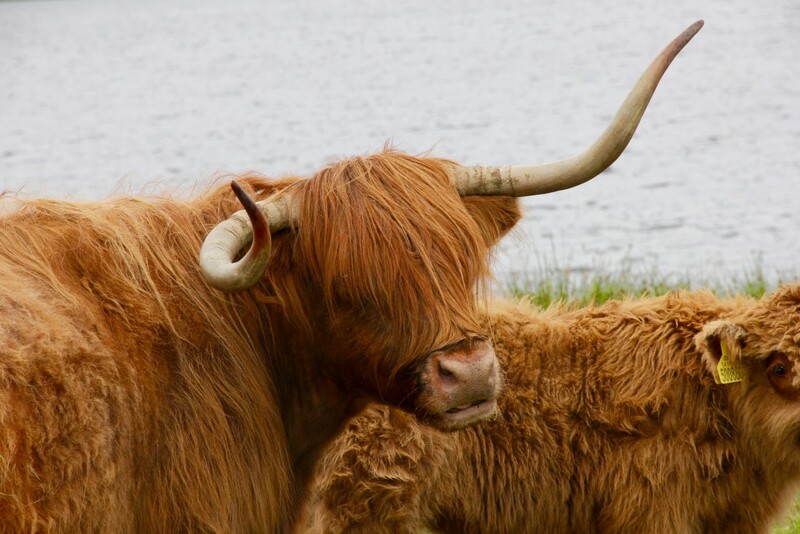 The highland cows can be spotted throughout the Scottish Highlands. One of the best things to do in Edinburgh is to climb Arthur’s Seat. Arthur’s Seat is the mountainous range in Edinburgh city, and is is 822 ft tall. Not many cities have a view as fantastic as the one from the top of Arthur’s seat, or have hiking so accessible within the city. Located inside Holyrood Park, Arthurs seat has two paths to the top and only takes around 30 minutes to reach. Be mindful to go on a day without too much fog or you won’t be able to see much as you climb higher up. 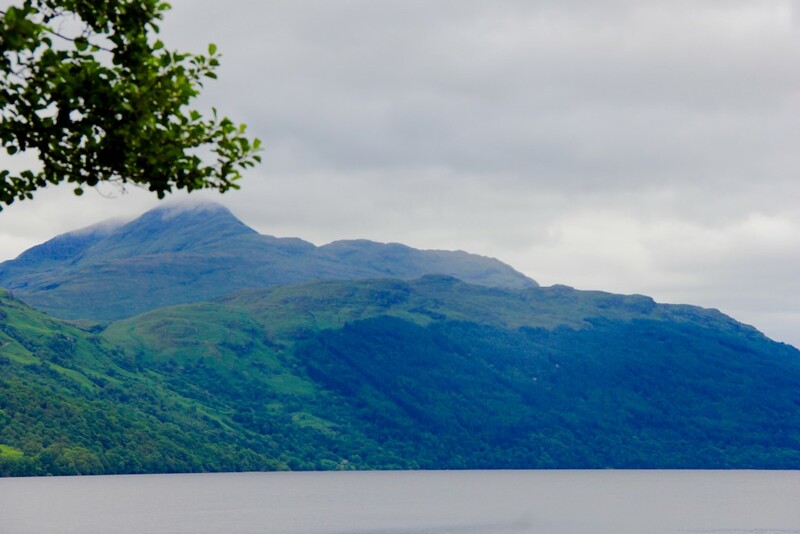 Loch Lomond, a 24 mile freshwater lake in the Scottish lowlands, is one of the largest lakes in Britain. It is a part of the Loch Lomond and The Trossachs National Park, attracting many vacationers as a tranquil place to relax. It is also set as the backdrop in the song, “The Bonnie Banks o’ Loch Lomond” and has gorgeous hills that reflect in the water surface. These 9 activities will give you a great start to experiencing Edinburgh and Scotland, but we always love to hear about new places. Been to Edinburgh and think we missed something? Comment your favorite things to do in Edinburgh below!